Sometimes referred to as premarital agreements, prenuptial agreements can be a good way for spouses to protect their separate property. In the event that the relationship should end in divorce, a prenuptial agreement can save the spouses untold amounts of time, money and emotional distress by agreeing prior to their union which assets are considered separate property. In some cases, prenuptial agreements can also be used to establish agreements for child support, spousal support and other important issues that are typically decided in a divorce. While some people may see the prenuptial agreements as showing a lack of confidence in the relationship, it is frequently the spouses’ best option for ensuring that their future interests are protected. At the law firm of Iafrate & Salassa, P.C., our Clinton Township prenuptial agreements attorneys represent Michigan clients in a wide variety of these cases. 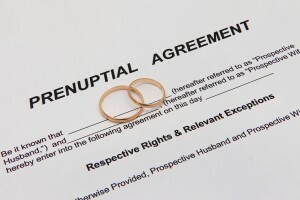 We have substantial experience with the drafting and review of prenuptial agreements. When disputes arise over the validity or intent of an agreement, we are prepared to litigate the agreement in court if a resolution cannot be reached. When drafting a prenuptial agreement, we craft the document it in a way that provides the greatest level of protection to our client. If the lawyer representing your fiancé prepared the agreement, we will conduct a thorough review and advise you of any language that has the potential to compromise your future interests. Contact our Clinton Township law firm today to discuss your prenup questions with a lawyer. We offer a free initial consultation to each client. You can reach us by phone at 586-263-1600 or via email to get started.